Hawaii Pharm - Nature Heals. The World's biggest choice of liquid herbal extracts. We offer up to 30% discounts for wholesalers. The exact discount amount is dependent on your order amount, quantity and size of items. Minimum order amount is $300. Only for licensed practitioners! Create an account as practitioner and get special exclusive promotions. This kind of account is required manual approve. Do you recommend us to your friends, family, colleagues and/or clients? If so: Thanks! We really appreciate it! Join our affiliate program. It’s by far the best way to monetize your Twitter or Facebook page, blog, or website. Vaccaria Liquid Extract, Dried seed (Vaccaria Hispanica) Alcohol-Free Glycerite Features and description: NON GMO! Gluten Free! 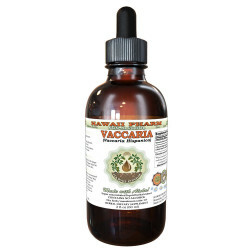 We made this Vaccaria liquid extract using ONLY natural ingredients! This extract does not contain Alcohol, GMO, glute..
Valerian Alcohol-FREE Liquid Extract, Organic Valerian (Valeriana Officinalis) Dried Root Glycerite Features and description: ALCOHOL FREE! NON GMO! GLUTEN FREE! Expertly extracted Valerian root ALCOHOL-FREE liquid extract! Valerian root Glycerite..
Violet Alcohol-FREE Liquid Extract, Violet (Viola Odorata) Dried Leaf Glycerite Features and description: ALCOHOL FREE! NON GMO! GLUTEN FREE! Expertly extracted Violet Tincture Supplement! Violet Glycerite contains ONLY natural ingredients! Alcoh..
Vitex Alcohol-FREE Liquid Extract, Organic Vitex (Vitex Agnus-Castus) Dried Berry Glycerite Features and description: ALCOHOL FREE! NON GMO! GLUTEN FREE! Expertly extracted Vitex ALCOHOL-FREE liquid extract! Vitex Glycerite contains ONLY natural i..
We meticulously produce our extracts according to precise standards where each herb is extracted according to the distinct characteristic of each plant! Hawaii Pharm LLC offers the biggest choice of liquid herbal extracts in the World! Hippocrates: "Nature itself is the best physician." Hawaii Pharm LLC - Nature Heals. Highest Quality Herbal Products Since 2008.